Sometimes, you just can’t learn to love something your spouse loves. I understand. No matter what it gives me, Eric just cannot love the beach. But sometimes, he just knows how much I need it, and he brings me anyway. Friday, he offered it so unexpectedly that I almost said no. We checked an errand off our list, we had lunch, and then he turned in left instead of right… wanting to drive by a hotel we had heard of, but not seen. We joked about the great adventure of driving on a street we hardly knew existed, and laughed that this would be how we’d spend the next phase of our life. And just when I thought we were heading home, he made a u-turn and said let’s go to the beach. As we walked along, he found a heart-shaped rock. He is the master at this... and just as I was saying how come you can find them and I can't? I found my own. And then... I found another. 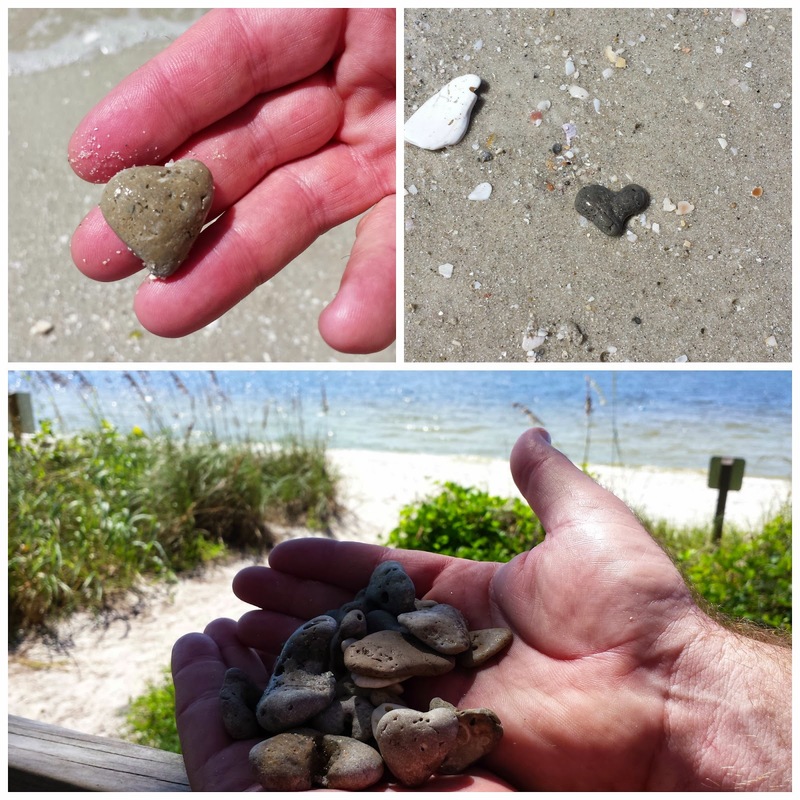 We didn't walk far, but we laughed along the shore and decided that Friday afternoons, right around 2pm, might possibly be the prime time for finding heart-shaped rocks. Friday, we added to our rock collection... but we also added to our love story. Memories, laughter, and time. Before we know it, it will just be the two of us... and I am thankful that when I think it, a wave of joy spills over me. How special for you. Loving your heart shaped rocks and your love story. Your collection is growing by leaps and bounds. And it sounds like your love has continued to grow like that through the years. Beautiful. 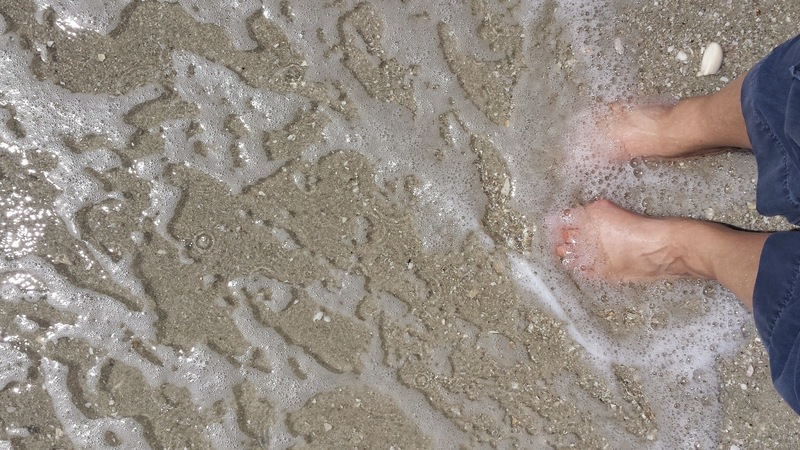 unexpected trips are the best and trips to the beach are even better! !